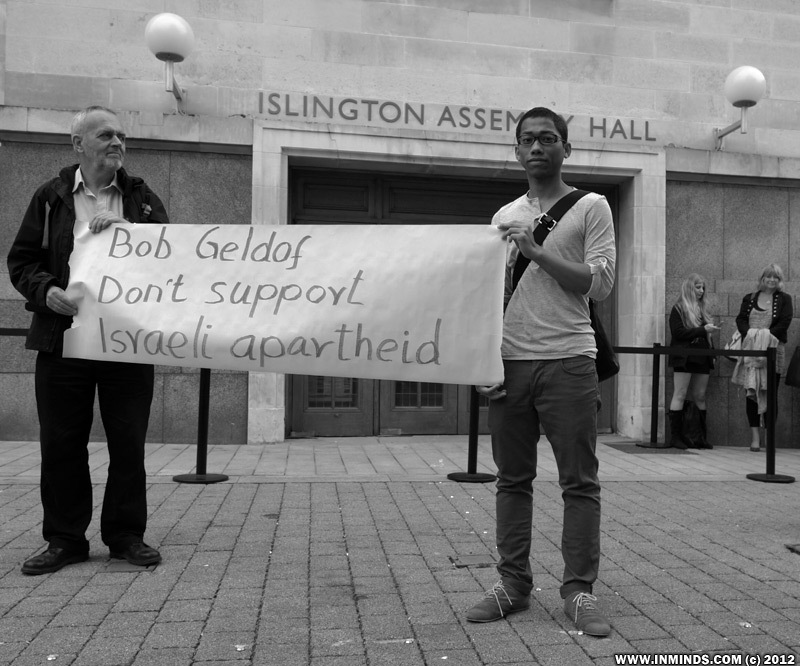 On 1st June 2012, human rights activists picketed Bob Geldof's performance at Islington Assembly Hall in London due to his ongoing support of Israeli apartheid. 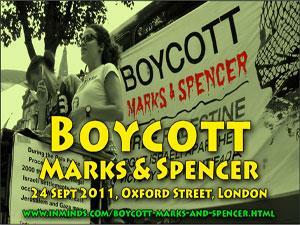 This includes Bob Geldof being a poster boy for the JNF with its campaign of ethnic cleansing and stealing Palestinian land, and his breaking the Palestinian civil society call to boycott Israel by his going to Israel and accepting an honorary degree from Ben Gurion University which has been implicated in the commission of war crimes in Gaza in 2009. "Geldof stop supporting racist JNF" - even kids know racism when they see it.. This picket followed on the heels of the successful picket the night before outside the Concorde 2 venue in Brighton (see photo at end) where Bob Geldof was performing. 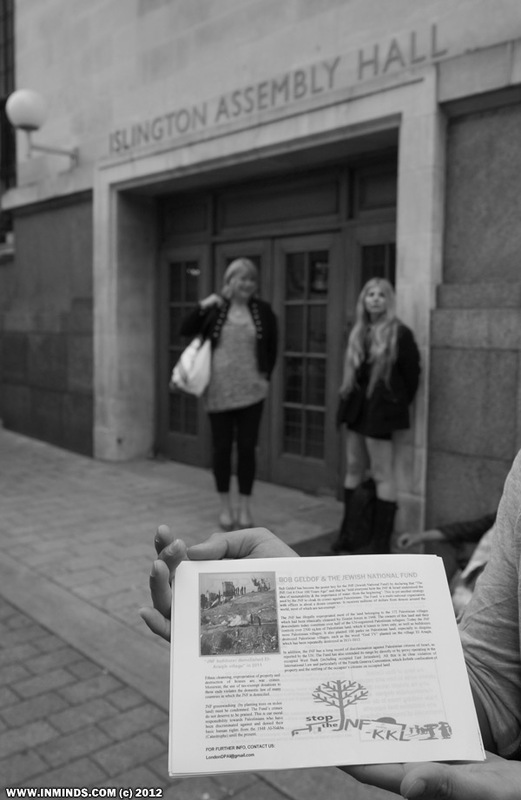 The London picket kicked of around 6pm, initial with small numbers - around a half dozen human rights activists. 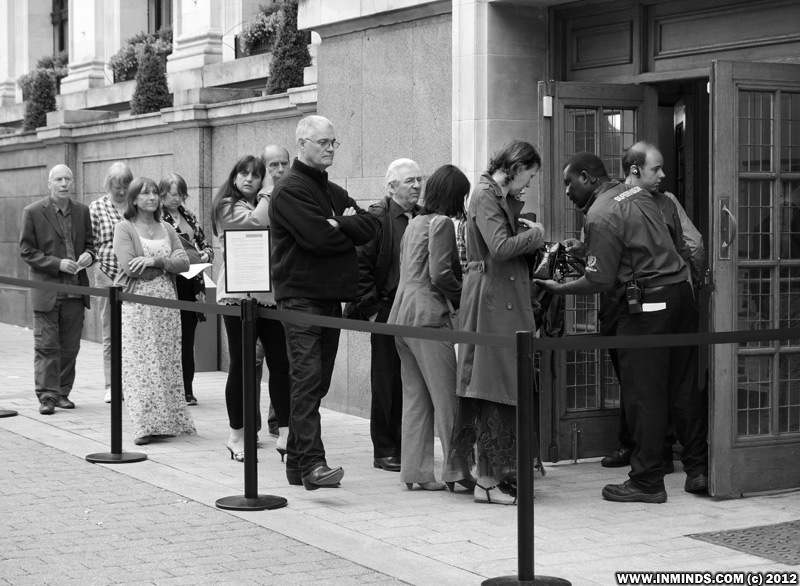 But soon we were joined my members of the public. A couple who were driving past, going out for a drink, saw the demonstration and stopped, parked their car, and joined the picket! 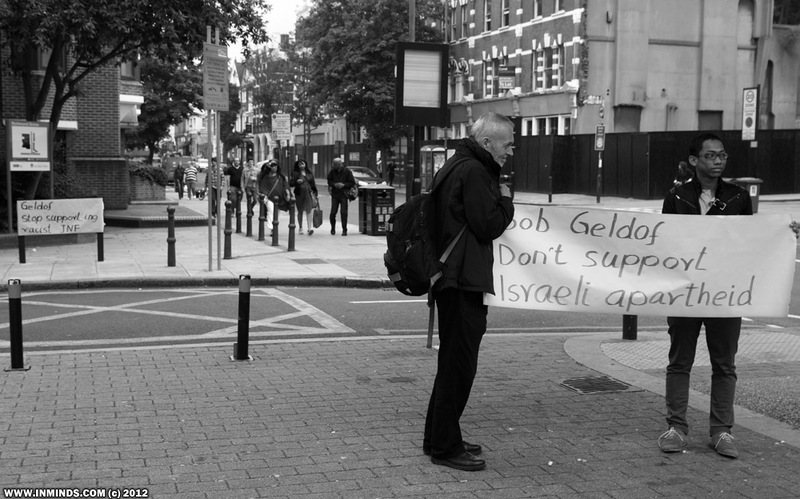 Street sign - "Geldof stop supporting racist JNF", banner - "Bob Geldof don't support Israeli apartheid"
The reaction from passers by was fantastic. They took leaflets and many stopped to chat to us. A young mother with her kids on their way back home from the pizza shop took time out to stop and talk , even though her food getting cold - she was mortified that Geldof was supporting apartheid Israel and was vocally upset that her council was allowing an apartheid stooge to use its building. 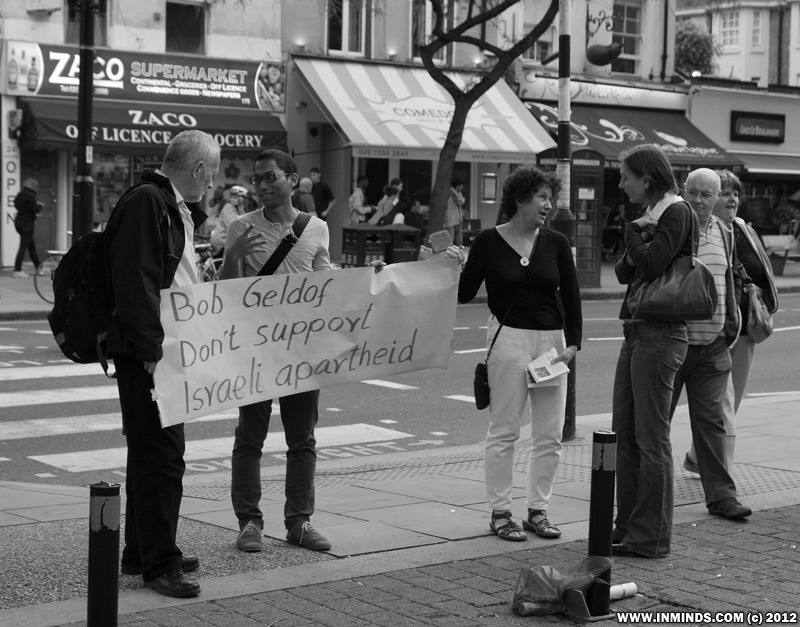 Great interest shown by passers-by..
Bob Geldof's fans were also very sympathetic, many couldn't believe that their hero from the days of Live Aid, the saving of lives in Africa, was now supporting the ethnic cleansing and the taking of Palestinian lives. 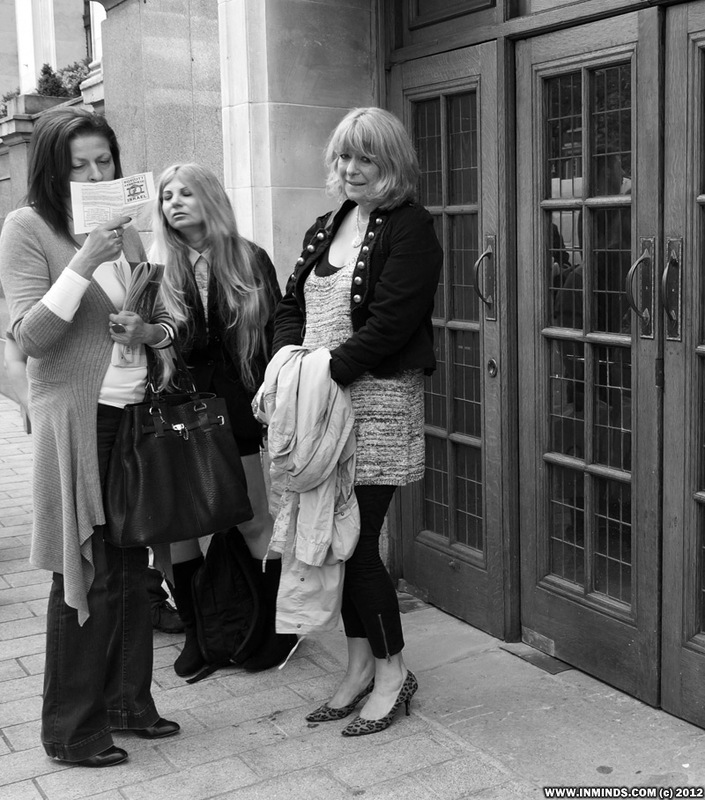 They all took leaflets which they read whilst waiting in the queue for the doors to open. It was interesting that even after reading both sides - and there was a lot of text on those leaflets - they carefully folded the leaflet and put it away in a safe place for future reference. Not one of them discarded their leaflet! In fact the uptake of leaflets was so good that we totally ran out of leaflets and had to take back leaflets from those of the public who were already sympathetic and had joined the picket so that we could give those leaflets to others! What a fall her hero has taken, from Live Aid and the saving of lives, to supporting Israeli apartheid and its taking of lives..
How can anyone refuse that smile? We did get one very negative response in this sea of positivity. 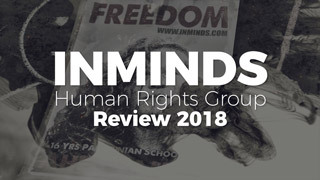 A man in a suit with a pink handkerchief came out of the venue building and grabbed some of the leaflets from one of the human rights activists and tore them up before disappearing back in to the building. Later when one of the female activists questioned him about his behaviour, asking whether he wished to know why we were there and what the issues were he responded by threats of physical violence. The building security then also turned nasty demanding we stop taking photos or they would physically stop us from taking them. 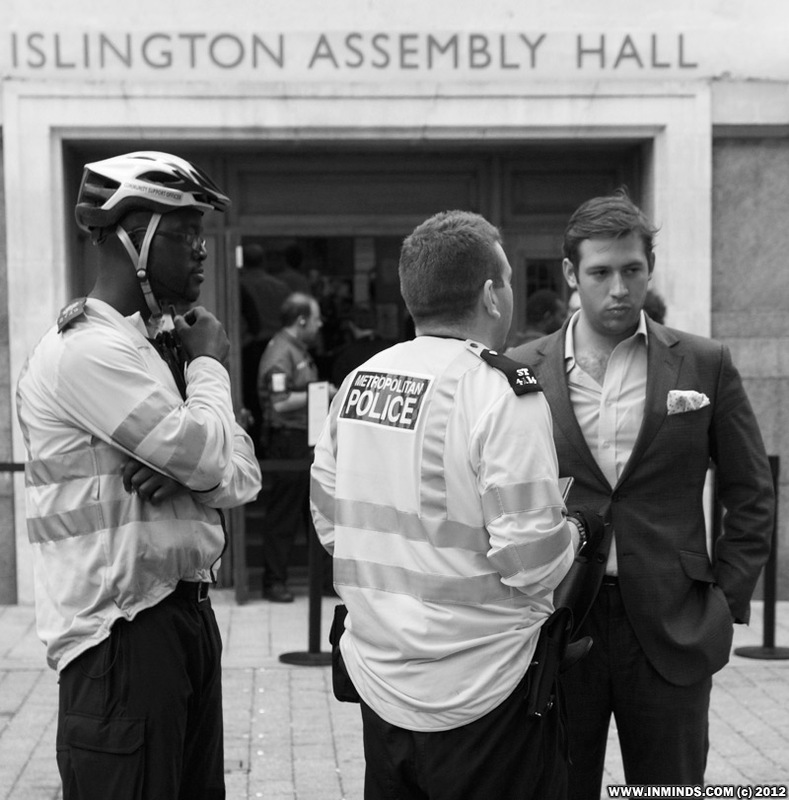 When we refused they called the police, thinking the police would automatically side with them. 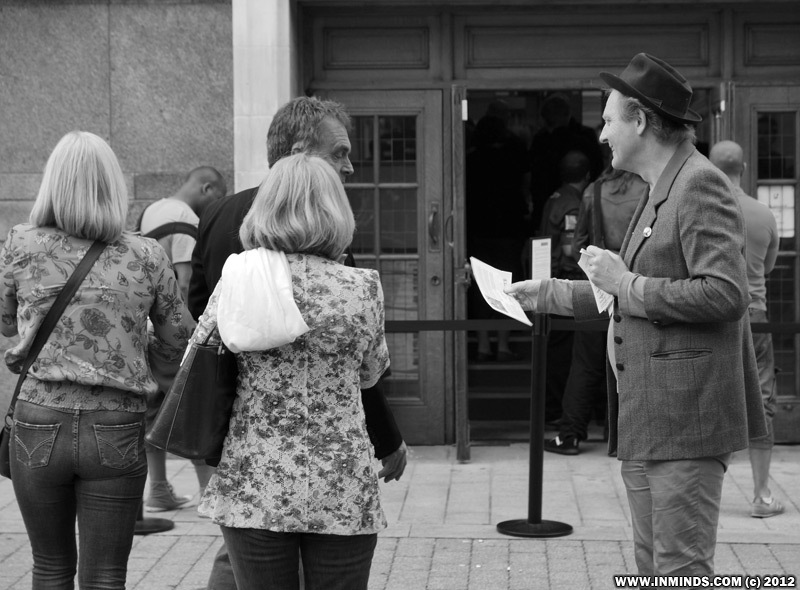 Geldof concert promoter Oliver Rossenblatt is given a warning by the police for his threatening behaviour. 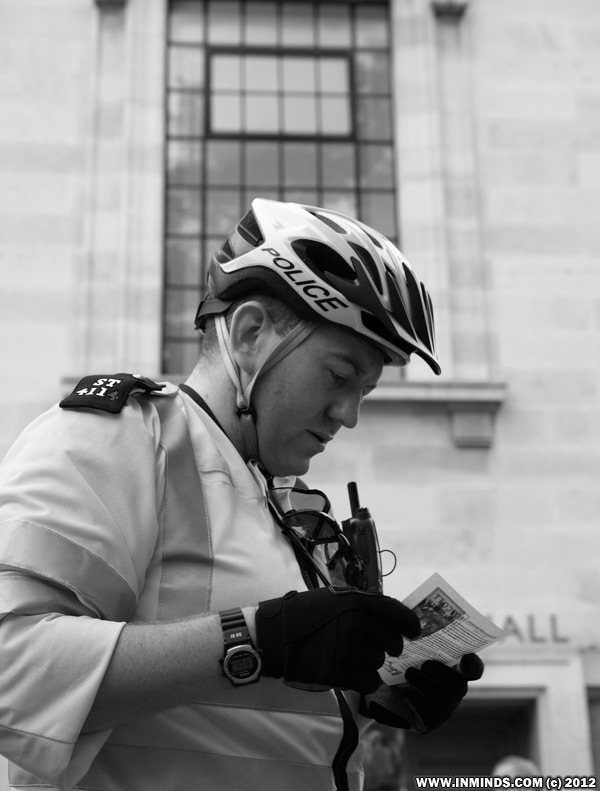 If we had to choose one word to describe the police it would be 'wonderful'! They explained to the security that we had every right to take photos in a public place and told us that if the security threaten us again they would 'deal' with them. Upon seeing the torn leaflets on the floor, we explained to the police that we were not responsible for the littering, that someone from the building had grabbed our leaflets and torn them. The police found this unacceptable and took a description from us of this individual and then demanded the security bring this person out. It transpired that this individual was the promoter of the Geldof concert - Oliver Rosenblatt (Managing Director of Senbla - a live music, concert promoting business). They then gave Rosenblatt a warning that he cannot destroy other peoples property or threaten them and that any such further behaviour would result in him spending the night in a cell. asking him to stop supporting Israeli apartheid.. Leeds next, then Plymouth. When the doors finally opened the security at the door decided to instigate bag checks, even the smallest purses were pried open! 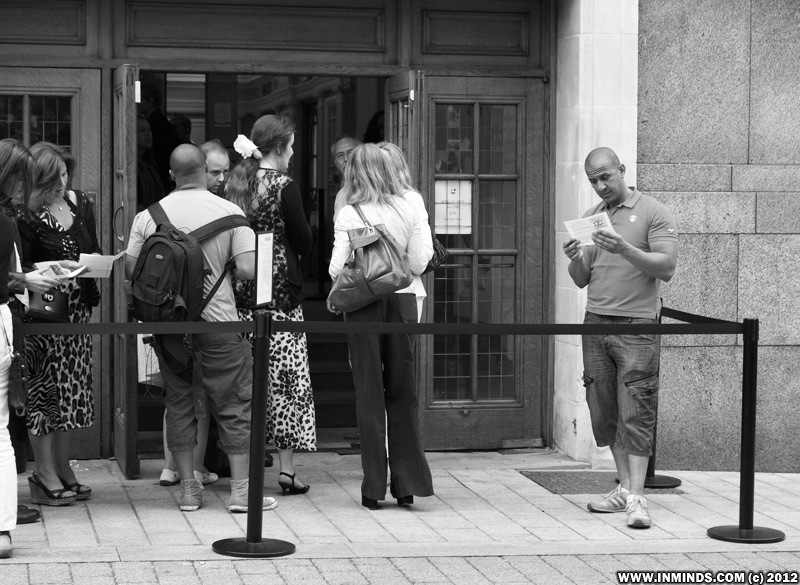 No doubt the recent successful disruptions at the Globe Theatre where the Israeli state theatre Habima was performing and at the Brighton Festival where the Jerusalem Quartet were performing had something to do with this decision. All in all it was a very successful evening. 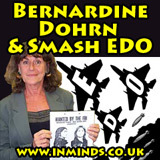 Perhaps what was most interesting was that we never once had to make the case for Palestine, everyone understood what Israel was doing was racist and unacceptable, the only issue for discussion was Bob Geldof's role - some questioned if it was active complicity or didn't he realise (due to the biased media)? This suggests that people realise the media is biased against the Palestinians but despite this they still have an understanding of the truth. 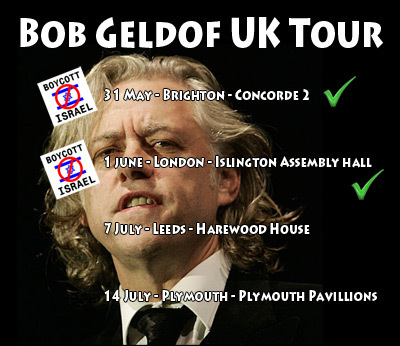 Bob Geldof's UK tour still has two more stop in July - in Leeds and Plymouth, two more opportunities to send a clear message to him..
Bob Geldof has recently accepted an honorary degree from Ben Gurion University in Israel. Ben Gurion University is heavily implicated in ongoing violations of international law and of human rights, and in the world's longest military occupation in Palestine. 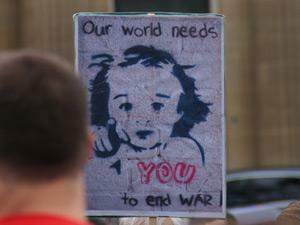 During the widely-condemned slaughter of Gaza (Dec 2008-2009), the Israeli army (the IDF) massacred with its state-of-the-art weapons more than a thousand largely defenceless Palestinians, most of them civilians. Many of them were children and all were already living under a cruel siege in the world's largest open air prison- Gaza. Ben Gurion University, though, outdid other Israeli universities in its support for the soldiers who helped carry out these atrocities. It gave a special grant of NIS 180 (around 35 Euros) per day to students who did military reserve duty during the slaughter. While the world demonstrated in horror at the massacre in Gaza, the security guards of Ben Gurion University were busy preventing students from mounting legal political demonstrations and activities. Ben Gurion, like other Israeli universities, routinely offers special privileges to the Israeli military. As part of their training, military pilots receive a BA from Ben Gurion University in the course of a single year (instead of the normal three years). 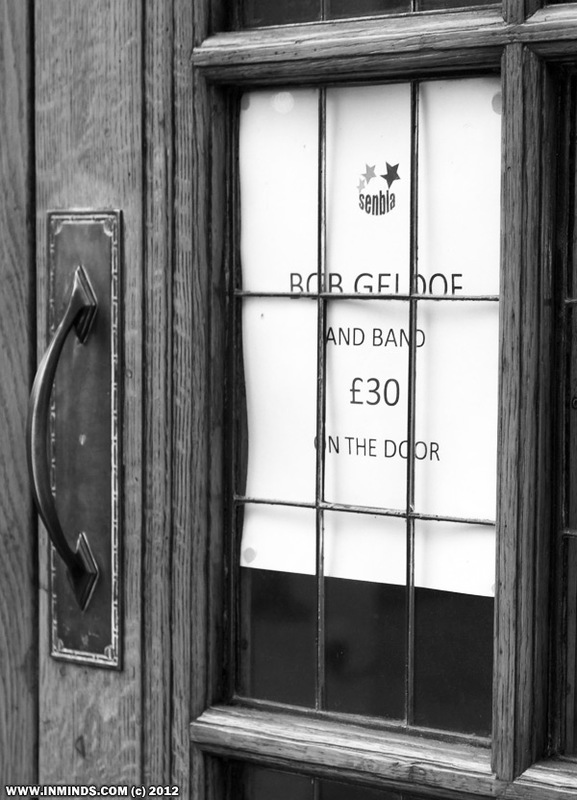 Bob Geldof's name is associated with campaigns to make the world - particularly the non-Western world - a better place. By associating his name with this tainted Israeli institution Bob Geldof is enabling Ben Gurion University to look respectable in the eyes of the world, and helping Israel to whitewash its crimes against the Palestinians. 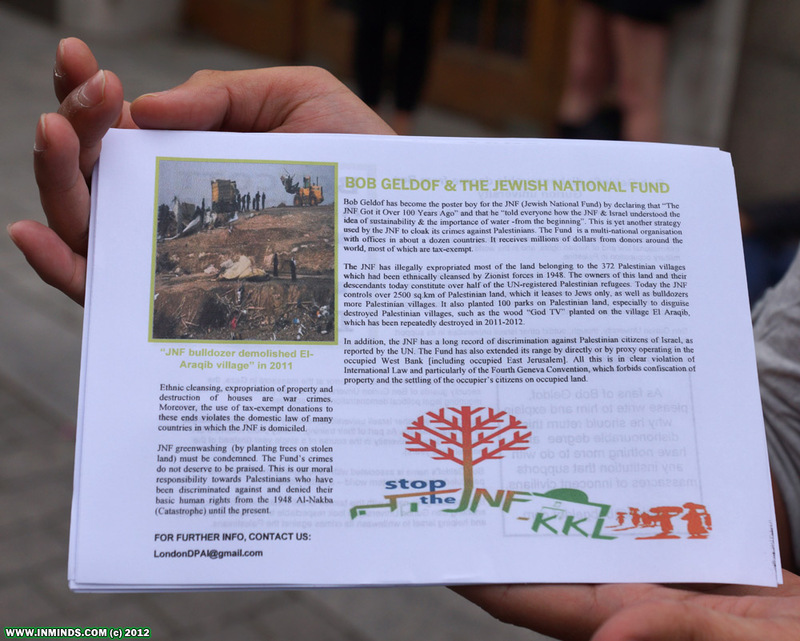 Bob Geldof has become the poster boy for the JNF (Jewish National Fund) by declaring that "The JNF Got it Over 100 years Ago" and that he "told everyone how the JNF & Israel understood the idea of sustainability & the importance of water - from the beginning". This is yet another strategy used by the JNF to cloak its crimes against the Palestinians. 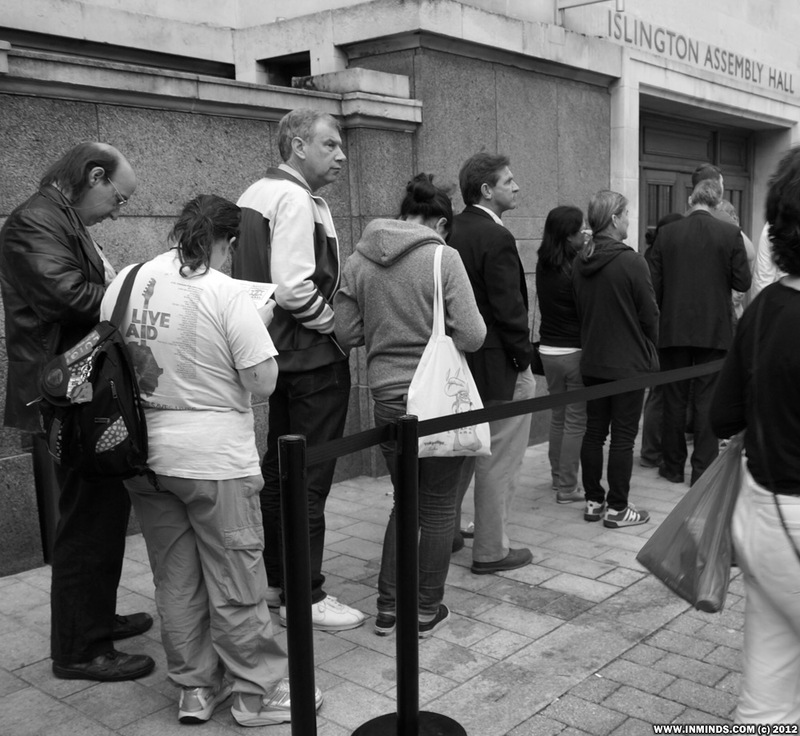 The Fund is a multi-national organisation with offices in about a dozen countries. It receives millions of dollars from donors around the world, most of which are tax-exempt. The JNF has illegally expropriated most of the land belonging to the 372 Palestinian villages which had been ethnically cleansed by Zionist forces in 1948. The owners of this land and their descendants today constitute over half of the UN-registered Palestinian refugees. Today the JNF controls over 2,500 sq.km. of Palestinian land, which it leases to Jews only, as well as bulldozing more Palestinian villages. It also planted 100 parks on Palestinian land, especially to disguise destroyed Palestinian villages, such as the wood "God TV" planted on the village of El Araqib, which has been repeatedly destroyed in 2011-2012. In addition, the JNF has a long record of discrimination against Palestinian citizens of Israel, as reported by the UN. The Fund has also extended its range by directly or by proxy operating in the occupied West Bank [including occupied East Jerusalem]. All this is in clear violation of International Law and particularly of the Fourth Geneva Convention, which forbids confiscation of property and the settling of the occupier's citizens on occupied land. Ethnic cleansing, expropriation of property and destruction of houses are war crimes. Moreover, the use of tax-exempt donations to these ends violates the JNF is domiciled. 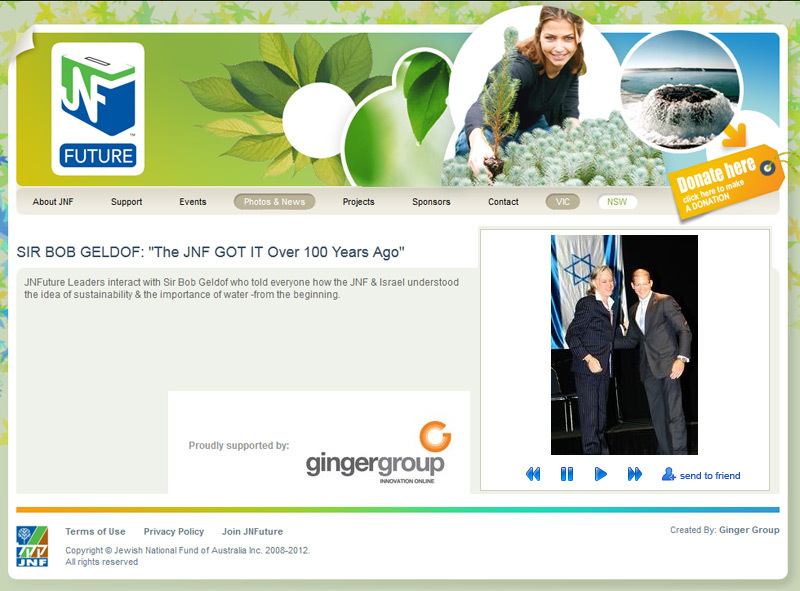 JNF greenwashing (by planting trees of on stolen land) must be condemned. The Fund's crimes do not deserve to be praised. This is our moral responsibility towards Palestinians who have been discriminated against and denied their basic human rights from the 1948 Al-Nakba (Catastrophe) until the present. 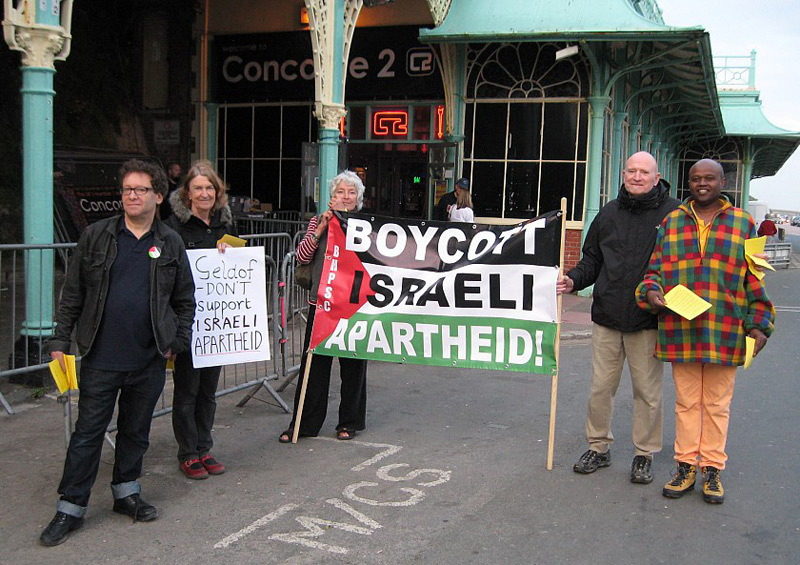 Human rights activists in Brighton from Brighton & Hove PSC picketed outside the Concorde 2 club where Bob Geldof was performing. They protested his support of Israeli apartheid.. 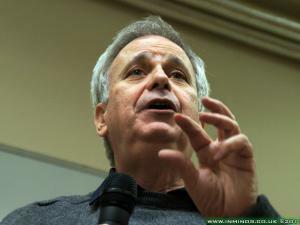 The Palestinian Campaign for the Academic and Cultural Boycott of Israel (PACBI) has recently learned that you are scheduled to accept an honorary degree from Ben Gurion University (BGU) in May, as well as participate in a conference titled “Israeli involvement in Africa: Past, Present and Future,” that will be organized by the Israel Forum for International Humanitarian Aid. Since it is clearly your anti-poverty work and dedication to humanitarian causes that has drawn people’s attention to you, we urge you to reconsider your plans to participate in this forum and to accept a degree sponsored by an Israeli institution. You have no doubt already heard of the calls for you not to accept the honorary degree from BGU made by the British Committee for the Universities of Palestine and the Ireland Palestine Solidarity Campaign . 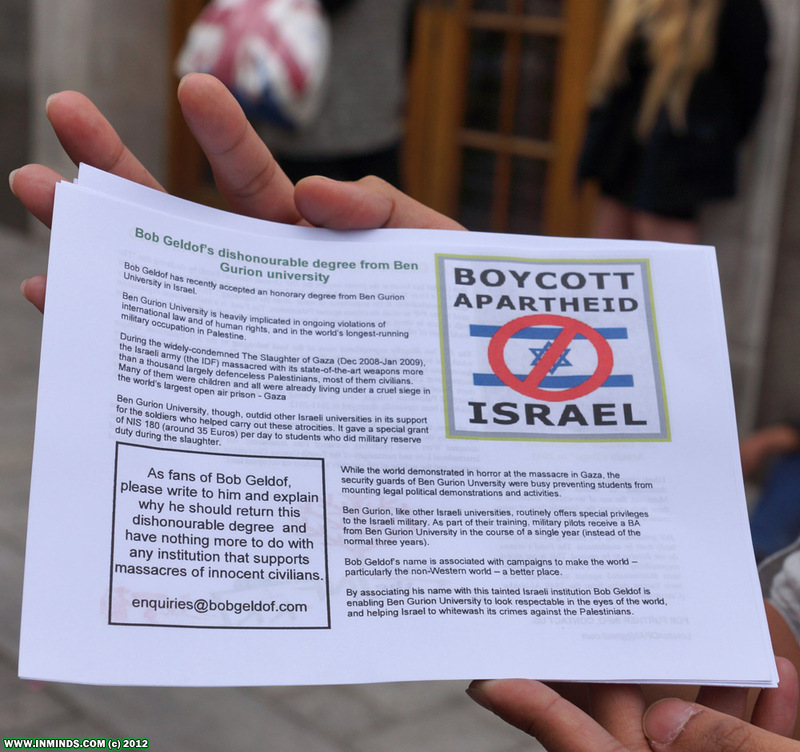 Our partners in Britain and Ireland gave impassioned and thoughtful reasons for you to simply heed PACBI’s call to boycott such events. 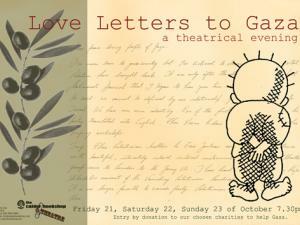 In 2004, Palestinians called for an academic and cultural boycott of Israel appealing to international artists to refuse to perform in Israel or participate in events that serve to equate the occupier and the occupied  and thus promote the continuation of injustice. 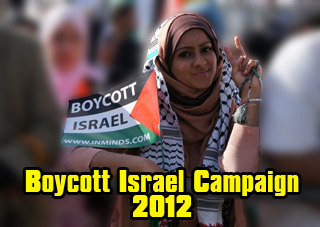 Following this, in 2005, Palestinian civil society called for an all-encompassing Boycott, Divestment, and Sanctions (BDS) campaign based on the principles of human rights, justice, freedom and equality . The BDS call has been widely endorsed by over 170 Palestinian civil society organizations and represents the collective work of grassroots organizations throughout occupied Palestine in our non-violent resistance to oppression. The BDS movement is asking artists, academics and cultural workers to heed our call until “Israel withdraws from all the lands occupied in 1967, including East Jerusalem; removes all its colonies in those lands; agrees to United Nations resolutions relevant to the restitution of Palestinian refugees rights; and dismantles its system of apartheid" . In light of our call, your upcoming visit would violate the appeal of the Palestinian BDS movement which urges people of conscience throughout the world to isolate Israel until it ends its colonial and apartheid oppression of the Palestinian people, as was done to the apartheid regime in South Africa. At a time when fellow artists are taking a stand against Israel’s crimes against Palestinians, it would be a travesty for you to do anything less . Musicians like Roger Waters, Elvis Costello, the Pixies and Gil Scott-Heron have eloquently explained their principled stand and others like director Ken Loach and art critic John Berger have worked tirelessly in support of our boycott. 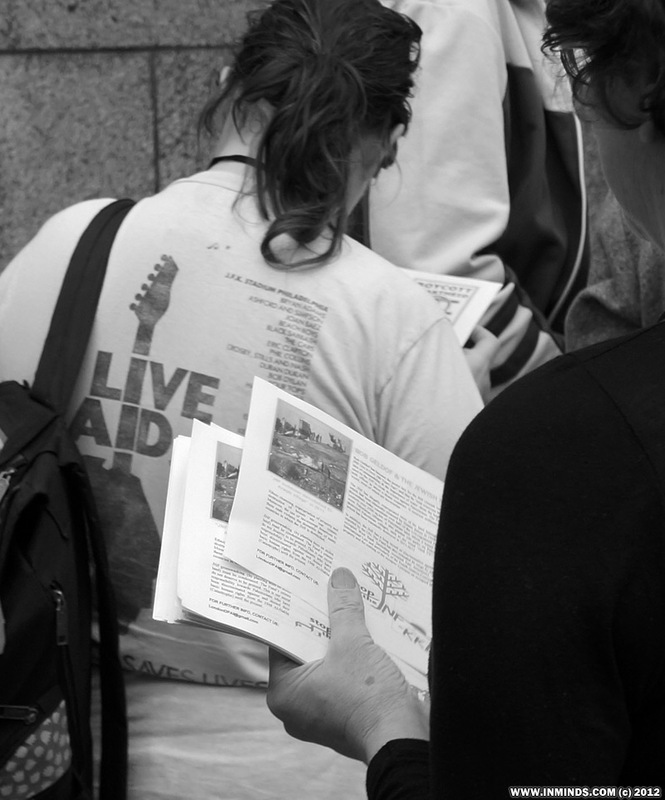 In addition, support for BDS has grown tremendously through its endorsement by groups that include the international alliance of Artists Against Apartheid , South-African Artists Against Apartheid , Creative Workers Union of South Africa, 500 Montreal artists , and closer to home for you, 200 Irish artists . With this kind of international support, our movement is growing and can no longer be ignored. In light of Israel’s terrible abuse of Palestinian basic human rights, contentious artists and humanitarians have acted to condemn blatant violations of rights. Specifically, regarding your invitation to accept an honorary degree from Ben Gurion University (BGU), it is important to note the blatant connections between BGU and the illegal and immoral practices and polices of the state of Israel. These connections most recently led the University of Johannesburg (UJ) in South Africa to take the bold and historic move of severing its institutional ties with BGU citing BGU’s complicity in Israel’s violations of Palestinian rights, as well as the BGU’s own discriminatory practices against Palestinians . To accept an award from such an institution would send a message that BGU can continue its complicity in Israel’s violation of international law, and still receive international acclaim and publicity by honoring respected moral figures such as you. Our partners in South Africa, who have lived under apartheid, have understood that we cannot engage with BGU and Israel’s institutions. We hope you will arrive at similar conclusions by rejecting the honorary degree. Your participation in a conference, moreover, that focuses on Africa and Israel’s role in the contemporary history of aid to the continent is nothing short of ironic. Given recent scholarship on the area, the nefarious role of Israeli political, economic and military involvement throughout the continent is certainly nothing to celebrate. In particular, Israel’s historic relationship with Apartheid South Africa is a revealing narrative of oppressive states supporting each other . Though it seems your presence will shed light on your humanitarian work, in reality, your invitation is nothing more than a part of an effort to whitewash the well-established criminal record of the Israeli state. 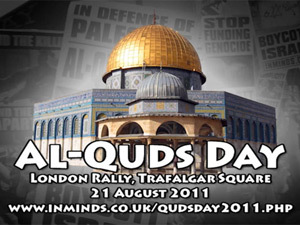 Israel is a state defined by its oppression of the indigenous Palestinian population of the land. Israel’s practices have historically worked to nullify the mere existence of Palestinians. Israel, through its unlawful military occupation of the West Bank, restricts Palestinians’ freedom of movement and speech, denies basic human rights like access to education, and maintainsa policy of stealing land and sustenance from the occupied Palestinian population. Israel continues to build its illegal Apartheid wall on Palestinian land and to support the ever-expanding network of illegal, Jewish-only settlements that divide the West Bank into Bantustans. Furthermore, in its horrible system of Apartheid towards Palestinian citizens of Israel, an institutionalized system of laws and policies afford rights and protections on an exclusivist and ethnically defined basis. While these sorts of racist laws have been condemned throughout the world, they remain standard Israeli practice. This is not a matter of simple inequality, but rather, a persistent system of legally and institutionally sanctioned discrimination, defined clearly in international law as a “crime of apartheid” . In addition, Israel’s illegal and criminal siege of Gaza continues well after the brutal attacks it waged in 2009 that left 1400 people, mostly civilians, dead.In Gaza, where Israeli policy has tragically condemned 1.5 million Palestinians to life under incarceration in the world’s largest open-air prison, these conditions cannot possibly be understood – let alone accepted - by any persons who believe in any conception of basic human rights and dignity. From this prison of Gaza, across Palestine and throughout the vast lands of our diaspora, Palestinians have been denied the internationally recognized right of return as refugees who were ethnically cleansed in 1948. Today, more than seven million Palestinian refugees continue to struggle for their right to return to their homes. Gaza today is once again being targeted. It seems the brutal war waged on this small prison is not over. Israeli bombs continue to pour on Gaza and continue to kill innocent civilians creating one humanitarian disaster after another. Do not whitewash these crimes. As you have advocated and fought for the world to see and act on their humanity, do not ignore your own and lend your name and presence to this oppressive state. Sasha Polakow-Suransky. 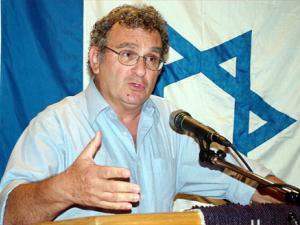 The Unspoken Alliance: Israel's Secret Relationship with Apartheid South Africa. New York: Pantheon Books, 2010.